Works by one of the world’s most famous artists have gone on show at Kelvingrove Art Gallery & Museum in partnership with Royal Collection Trust. Leonardo da Vinci: A Life in Drawing is a nationwide event that marks the 500th anniversary of the death of Leonardo da Vinci. 144 of the Renaissance master's greatest drawings in the Royal Collection will be displayed simultaneously in twelve venues across the UK from 1 February – 6 May 2019, with different works on show in each of the participating museums and galleries. Kelvingrove Art Gallery & Museum is the only Scottish venue to host one of the exhibitions of twelve drawings, and entry to the exhibition is free of charge. Leonardo da Vinci: A Life in Drawing presents Glasgow Museums with an excellent opportunity to participate in a national celebration of one of the most internationally-recognisable artists ever. Highlights of the exhibition in Glasgow include A star-of-Bethlehem and other plants c.1506-12 and The anatomy of a bear's foot, c.1488-90. Chair of Glasgow Life, Councillor David McDonald, said: “Leonardo da Vinci is without doubt one of the most venerated and influential artists of all time and we are absolutely delighted to be able to host this exhibition of drawings at Kelvingrove Museum as part of Royal Collection Trust’s nationwide event. 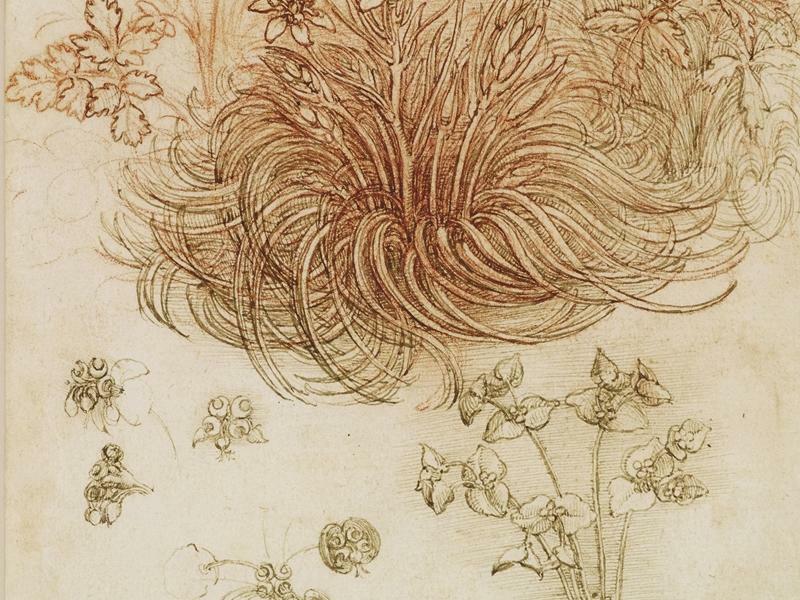 As the only Scottish venue to host Leonardo’s drawings as part of the simultaneous display across the country, we are thrilled that our visitors will have the chance to see these intricate drawings up close. “Kelvingrove Museum houses one of Europe’s finest art collections and we’re excited to extend our offering by hosting Leonardo da Vinci: A Life in Drawing. Over one million people visit Kelvingrove Museum every year and, like all Glasgow Museums, it remains free to visit. After the exhibitions around the UK the drawings will be brought together to form part of an exhibition of over 200 sheets at The Queen's Gallery, Buckingham Palace, in May 2019. It will be the largest exhibition of Leonardo's work in over 65 years. A selection of 80 drawings will then travel to The Queen's Gallery, Palace of Holyroodhouse in November 2019, the largest group of Leonardo's works ever shown in Scotland. Leonardo da Vinci: A Life in Drawing will be on show in twelve venues throughout the UK. These are Ulster Museum, Belfast, Birmingham Museum and Art Gallery, Bristol Museum and Art Gallery, National Museum Cardiff, Derby Museum and Art Gallery, Kelvingrove Art Gallery and Museum, Glasgow, Leeds Art Gallery, Walker Art Gallery, Liverpool, Manchester Art Gallery, Millennium Gallery, Sheffield, Southampton City Art Gallery, and Sunderland Museums and Winter Gardens.